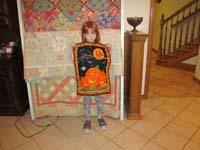 That panel is very cute - almost as cute as Pumpkin Pete :*) Your granddaughter looks very happy with it for sure! 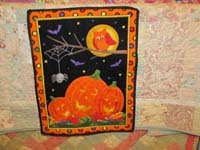 My favorite touch is the owl - too cute! Such a cute panel - made a cute quilt.